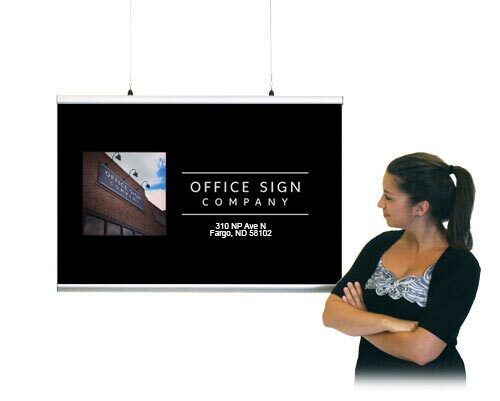 A sleek brushed silver aluminum frame that snaps open and closed for easy graphic changes. 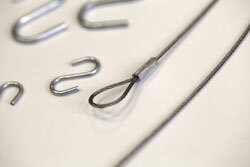 The frame includes a recessed pocket for S-hook suspension and also includes the option for clear nylon line mount. 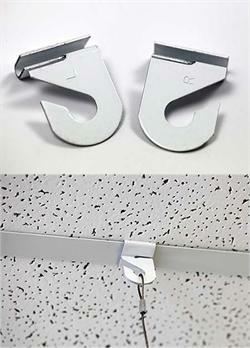 Adjustable hanging clips allow for customized spacing. This product includes two separate pieces. The top rail has two black adjustable hanging clips that slide back and forth to accommodate your specific mounting requirements. 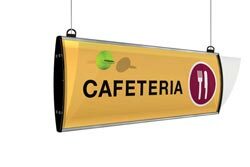 Both the top and bottom rails snap open and closed so you can change out your graphics quickly and easily. 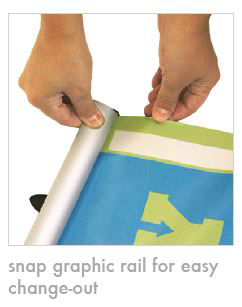 Bottom rail creates weight and tension for graphic. 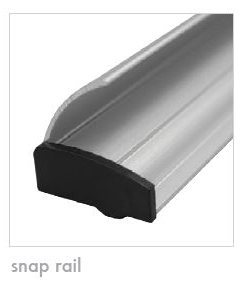 Custom widths available up to 60. 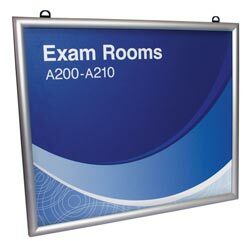 Poster NOT included. 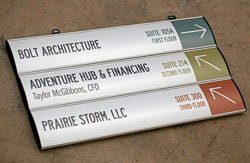 Contact us via e-mail at service@officesigncompany.com or via phone at 701-526-3835 for additional sizes and pricing.